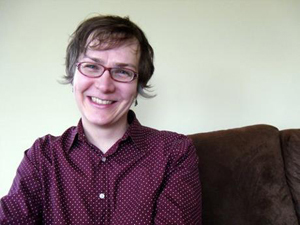 Zoey Leigh Peterson won our 2011 Far Horizons Award for Short Fiction with her story, "Next Year, For Sure." 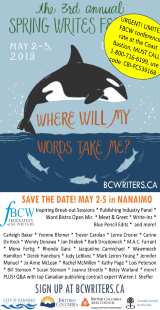 Since then, she's gone on to publish many more stories in Canadian magazines such as PRISM International and The Walrus and has placed in two more contests (the Short Grain and The New Quarterly's Peter Hinchcliffe Fiction Award). 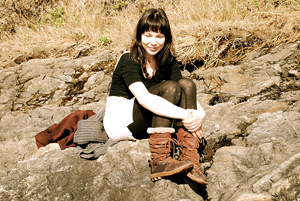 As the 2013 Far Horizons Award for Short Fiction deadline nears (May 1, 2013), Malahat circulation and marketing manager Susan Sanford Blades asked Zoey a few questions about what winning the prize has done for her. How did winning the 2011 Far Horizons Award for Short Fiction affect your writing life? Had you been published much before that point? That story was the very first piece I had published, so in many ways it feels like the Far Horizons Award opened the door for everything that followed. Most profoundly, I’d say, it put me in touch with other writers. In the weeks and months after that story came out, I started getting notes and emails from writers—some well-known, some just starting out like myself—just reaching out, making contact. This was huge for me. I never did a creative writing program, so I don’t have that built-in cohort of fellow writers. Finding myself suddenly part of a community of like-minded writers—people I could share ideas with and get advice from—that was life changing for me. 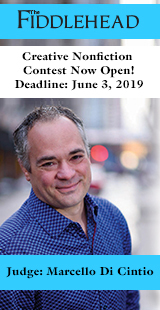 You’ve gone on to place in two Canadian literary contests since your Far Horizons win (3rd place in the 2012 Short Grain contest and 1st place in The New Quarterly’s 2012 Peter Hinchcliffe Fiction Award). 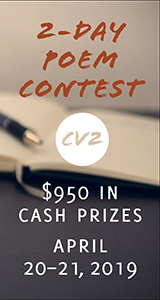 What compells you to enter writing contests? The fame, the money, the quicker and predictable response time, your previous successes, the subscription with entry fee? The response time is a big part of it for me. I am in most ways an exceedingly patient person. I’ll work for years on a story if it needs it. But once it’s done, once a story is ready, I’m desperate for it to be out there in the world. So faster response time is appealing. Most of all, though, what attracts me to contests is knowing that the people reading the stories have no idea who wrote them. I have a perhaps unreasonable passion for this, but I love the idea of a reader coming to the story without any preconceptions, without knowing if it’s an author they love or someone they’ve never heard of, without even being able to surmise the gender or ethnicity of the author. In my ideal world, magazines wouldn’t include bylines at all. 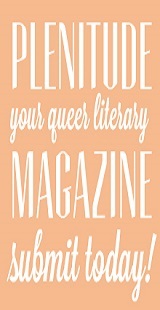 You’d get an issue full of amazing stories and poems, but no author names. The names would come in the next issue like the solution to yesterday’s crossword puzzle. Your Peter Hinchcliffe Fiction Award-winning story, “Sleep World,” is an immediate follow-up to your Far Horizons Award-winner, “Next Year, For Sure”—this time told from Kathryn’s (the girlfriend of Chris, “Next Year, For Sure”’s protagonist) point of view. Can we hope to see any more Chris and Kathryn stories in literary magazines or are you saving the rest for your novel? I’m not saving them, exactly. If it was up to me, I’d publish the chapters as I finish them, one after another, like they did in the old days. I’d love that. It kills me to have all these chapters in my drawer that nobody can read. The problem is that most of the chapters are just that—they’re chapters, not short stories. They rely on the reader knowing a lot about the characters and the particular mess they’re in. The first couple of chapters worked as standalone stories because we were just getting to know the characters and their situation. That’s less true as the novel progresses, though there are a couple of chapters I’m thinking might work on their own, with some tweaks. Can you tell us a bit about the novel? Can you give us any hints about Chris and Kathryn’s journey throughout the novel? Are there any other principal characters (do we ever hear from Emily, for instance?)? How close are you to being finished? “Next Year, For Sure” is Chapter one of the novel, and “Sleep World” is Chapter two. The following eight chapters are already written and I have another eleven mapped out that exist mostly in my mind. So I’m about halfway. A glorious and miserable halfway. I think I won’t say too much about what happens in the story, but I will say this: It gets worse for our heroes before it gets better. If it gets better. 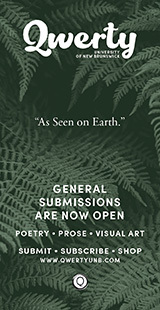 You’ve been writing some micro-fiction lately, including your Short Grain-winner, “Two Monsters” and “For How Long and What a Marvel,” which was published in the February issue of The Walrus. Do you find the more distant, poetic nature of these stories to be a nice release or an off-set to the very character-driven nature of your longer stories? Do you have some sort of world imagined in which these microfictions take place? I'm so intrigued by it. A place where people aren't called by name, and they have Shirley Jackson-esque interminable baseball games where eligible bachelors from neighbouring villages come ... do you have some place in mind or do you just come up with odd details as you're writing? I definitely have a place in mind. And I’m sure the place is imaginary, but it really doesn’t feel like it’s my imagining. When I’m writing these micro stories, it doesn’t feel like an act of imagination, it feels more like an act of recollection. And I only get little glimpses into that world. That’s why the micro stories are so micro. I’ll get some little morsel of a story, and then I’m dumped out. And I can’t re-enter the story any more than I can re-enter a dream after waking. All I can do is try to record it as faithfully as possible. I don’t want to make it sound mystical. It’s not like I’m channeling signals from some parallel universe. But at the same time, I can’t really explain what is happening. It makes me want to go read a lot of Jung. How does your approach or writing method differ when tackling each type of story? Surprisingly, my process is essentially the same for both types of stories—lots of mulling, lots of long walks, lots of staring into lightbulbs—and then I sit down with a legal pad and pencil and write the thing, sentence by sentence, from beginning to end. I’m a fairly linear writer in that way. I put down the sentences in the order they’re going to appear, rather than writing freeform and then rearranging the pieces. I don’t tend to move things. I do tons of revisions at the word level and even more at the metrical level, but my sentences are rooted and if I try to move one, it usually withers and dies. Recently I’ve been experimenting with writing with two legal pads, side by side. The one on the right is for my linear brain, the one that needs to write the story in order. The one of the left is for when my linear brain gets stuck. It’s a place to experiment and explore until I figure out what I need to say next. I learned this from Lynda Barry, who is a marvel and a treasure. Speaking of your method, I adore your opening sentences (“If you put all the religious books on one shelf, it makes God look like a phase you went through” or “When the country broke up, someone had to clean the fridge at the national archive”). You mentioned in your Far Horizons winners interview that usually “the opening lines just present themselves.” Is this still the case? How do you put your stories together now? That’s so good to hear, thank you. As a reader, opening lines are really important to me because I’m so bad at getting into a new book. I’m a ravenous reader, but every time I finish a book, I have this little bit of dread about having to start the next one. It’s the starting I don’t like, when everything has to be explained and established. Same with TV pilots—a necessary evil, even for shows I love. What I want from a writer is an opening line that is so compelling, that it will carry me through all the necessary scene setting and character introductions, and deliver me to the beating heart of the story. My own opening lines do tend to present themselves fully formed, mostly because I starve them out. I won’t write a word until I have an opening, so if the story wants to get told, it better pony up. Was writing always an important part of your life or did you begin to take it more seriously only recently? Tell us a bit about that process. I was one of those kids who started writing novels in elementary school. By middle school, I’d devoured every craft book in our public library. Writing was basically all I did. When I was in my early twenties, though, I tried to give it up for good. I pretty much didn’t write at all for twenty years. It wasn’t until three or four years ago that I felt ready to write again. “Next Year, For Sure” was one of the first things to come out. When you wrote “Next Year, For Sure,” did you have the entire novel in mind, and if not, how and when did you decide to write a novel? I knew all along that it needed to be a novel, but I was trying to find a way around that. Because it felt foolhardy--after twenty years away from writing--to dive straight into something as swampy as a novel. I thought maybe writing it as a short story would get it out of my system, but that backfired. Then I toyed with the idea of doing it as a story cycle, because I like story cycles and they seemed somehow more manageable than novels. I'm not sure that's true, but it felt true. As I kept writing, though, it became more and more clear that it was a novel. It has the spine of a novel. There’s no getting around it. So there you go. Foolhardy. Finally, I’m wondering how you feel about the role of social media in a writer’s life. You’re on Facebook, Twitter, and Tumblr, and you also have a personal website. Have you felt that these mediums help you in becoming noticed, getting your work out there, developing a community with other writers, looking good (i.e., as though you come with a built-in “following”) to publishers? I love social media, but I’m not sure it benefits my writing on the whole. If I’m being honest with myself, it’s probably a detriment, at least the way I use it. I think about unplugging every day. But I do love it, especially Twitter. It’s like overhearing little snippets of conversation on the bus, but unlike your morning commute, you get to choose who is on the bus with you. Amazing. And I like following writers, because I enjoy the shop talk. I like to see writers being supportive of each other—championing each other’s work, promoting literary culture, commiserating about the writing life. I find that inspiring. But here’s what worries me. There’s a musician I love. I won’t say her name, but she’s one of my all-time favourites. And she’s fantastic on Twitter—funny and candid, charming and audacious. She’s everything you want, really. But after a year or so of following her on Twitter, I discovered that I was less moved by her music. Even older songs—songs that I had always loved—felt somehow diminished. That worries me, that dynamic. Eventually, I ended up unfollowing her. Because if I have to choose between very amusing tweets and deeply moving art, I want the art. But it does make me wonder about how to avoid that dynamic. Luckily I don’t need to worry too much about my own twitterings because almost no one follows me, and half of those who do appear to be robots. Robots love me.